RENAL SUPPLEMENT – VET SUPERIOR CONSULTANT CO.,LTD. 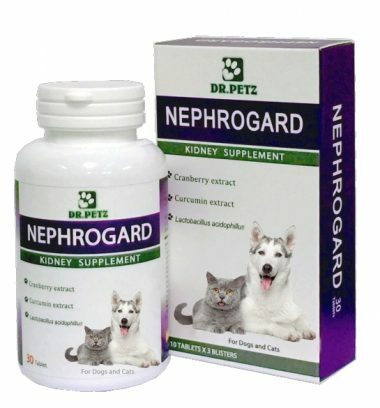 DR.PETZ NEPHROGARD contain Phytochemical extract, Vitamins, Amino acids, Probiotic and Prebiotic which help pets have a problem about kidney and urinary tract. 10 tablets x 10 blisters (PVC/Alu) in carton box.